Catherine Zeta-Jones, Bill Nighy, Michael Gambon and Toby Jones lead the laughter attack in this uproarious WWII comedy. It’s 1944 and the war is reaching its climax for Captain Mainwaring (Jones), Sergeant Wilson (Nighy) and the woefully inept Home Guard platoon of Walmington-on-Sea. 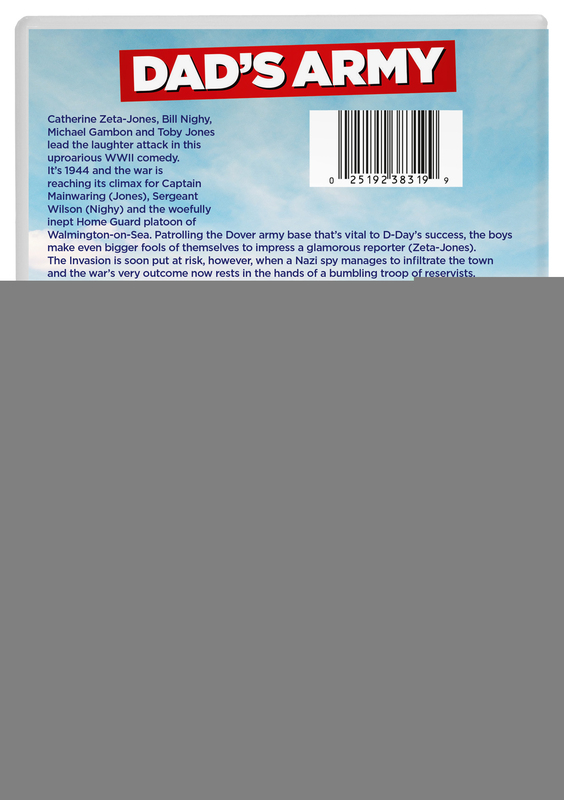 Patrolling the Dover army base that’s vital to D-Day’s success, the boys make even bigger fools of themselves to impress a glamorous reporter (Zeta-Jones). The Invasion is soon put at risk, however, when a Nazi spy manages to infiltrate the town and the war’s very outcome now rests in the hands of a bumbling troop of reservists.